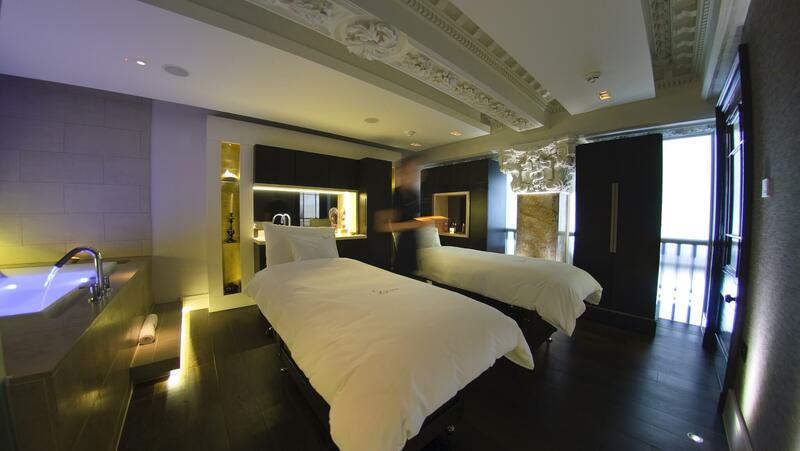 Sparcstudio worked closely with the Sofitel team in London and Paris to develop, ‘So SPA’; the first of its kind, to be housed within a historic grade II listed Banking Hall, basement and mezzanine spaces adjoining the iconic Sofitel St James hotel, in central London. 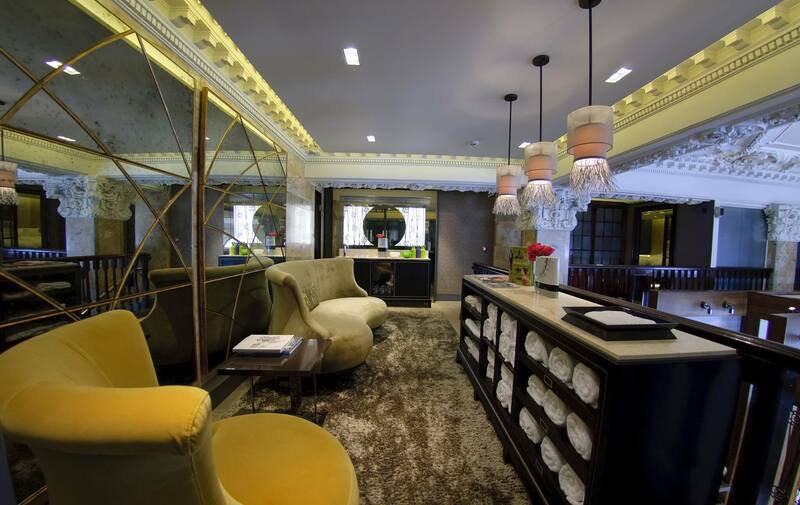 The bespoke interiors combine French flair and elegance with English eclecticism and eccentricity; offering to both male and female guests a highly personalised and attentive spa experience provided by Spa butlers. 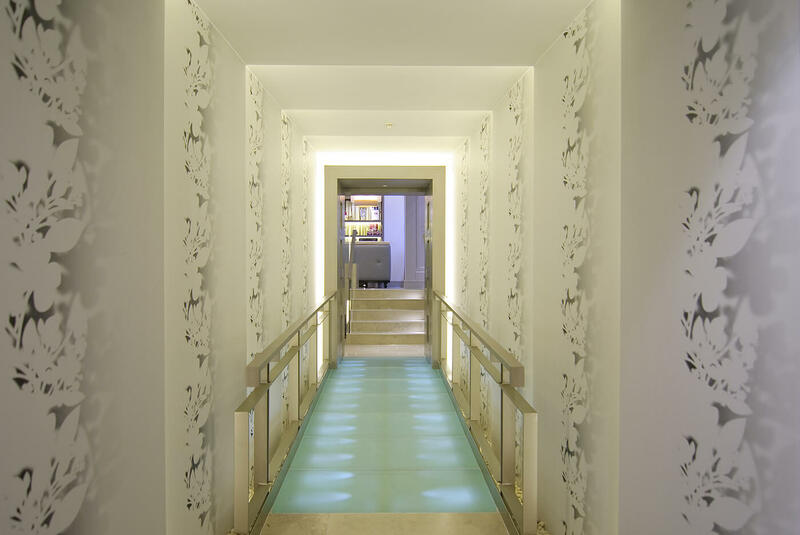 The ‘spa journey’ begins by crossing an illuminated curved Glass bridge –a transition zone from the bustle of the Hotel lobby. 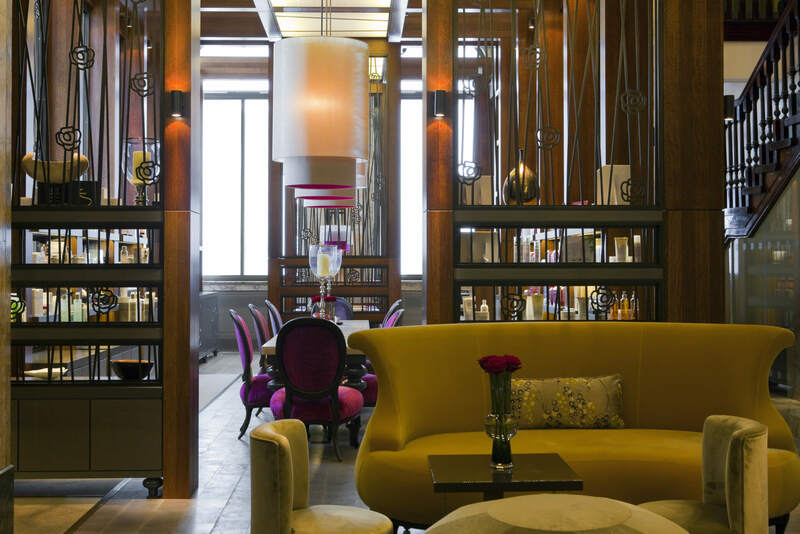 Guests then pass into the double height banking hall within which Sparcstudio created a spectacular freestanding walnut clad pavilion, a ‘space within a space’ which preserved intact the listed interior whilst creating an exciting contemporary new space which serves as the social hub of the spa. 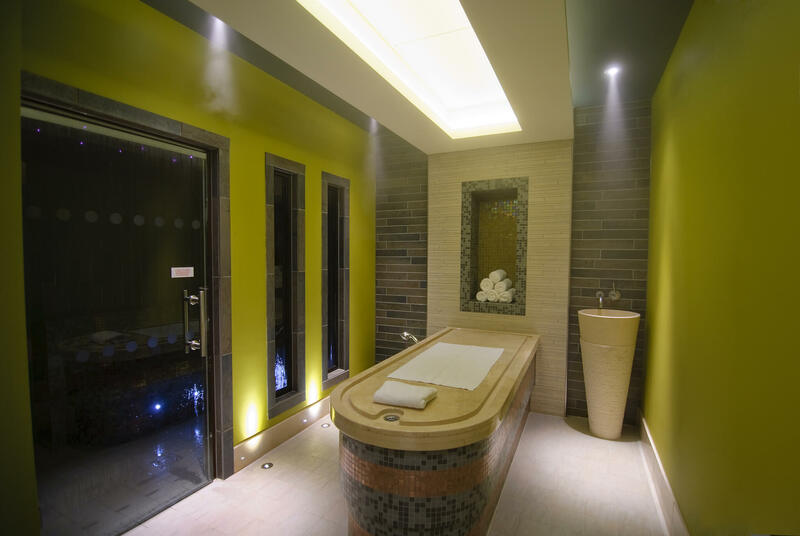 Designed to encourage ‘social spa-aing’ this area serves as a pre and post treatment zone, a consultation area and at times a party/ new spa product launch area, complete with integrated retail display, bespoke lighting. 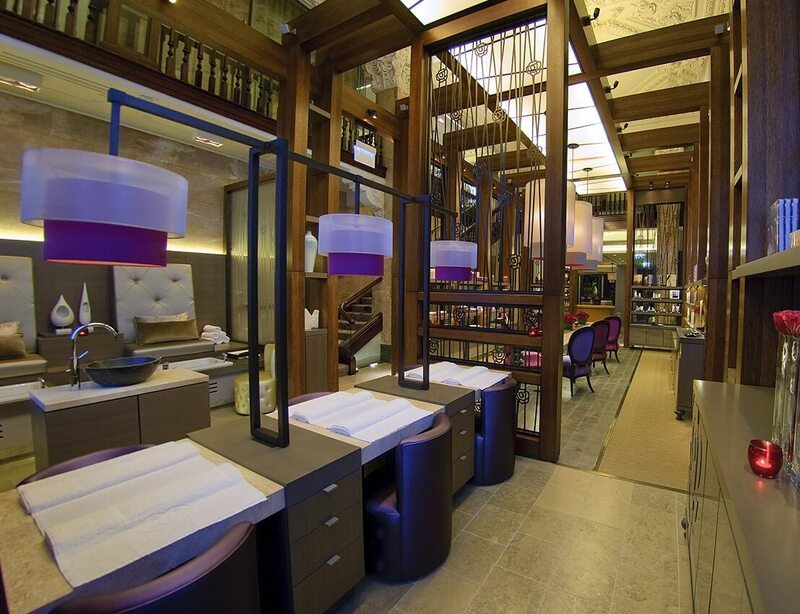 Adjoining this is manicure and pedicure areas where guests can choose from a menu that includes a ‘Martini and a Manicure’ or a ‘Pedicure and a Pint’! 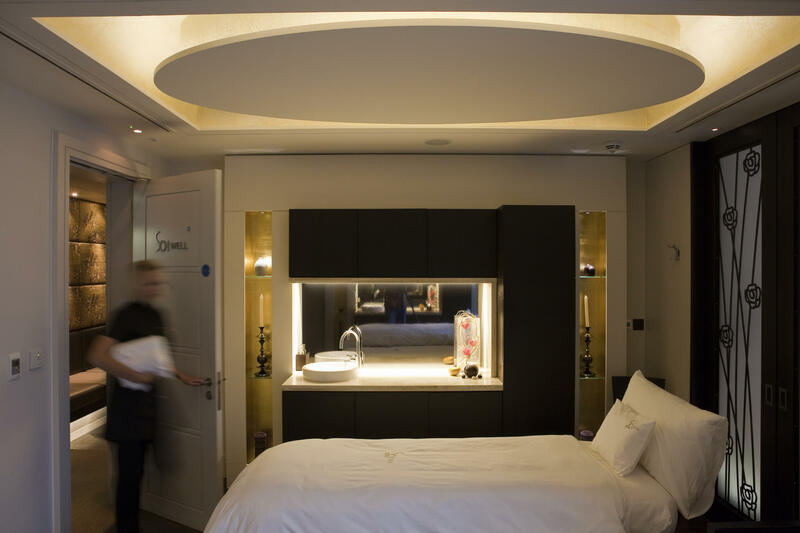 One of the treatment suites, a ‘Suite Exceptionelle’ converts from a single treatment room into a couple’s room. Fret cut translucent screens slide aside to reveal a Hydrotherapy Bath with private views of a Japanese garden. 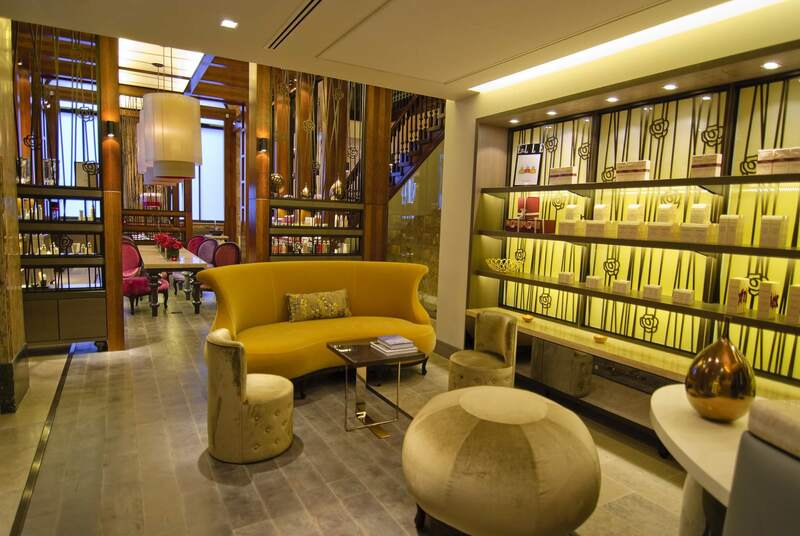 There is also a Hammam suite and a deep relax and light relax area on the mezzanine which provides views down onto the pavilion and area below. 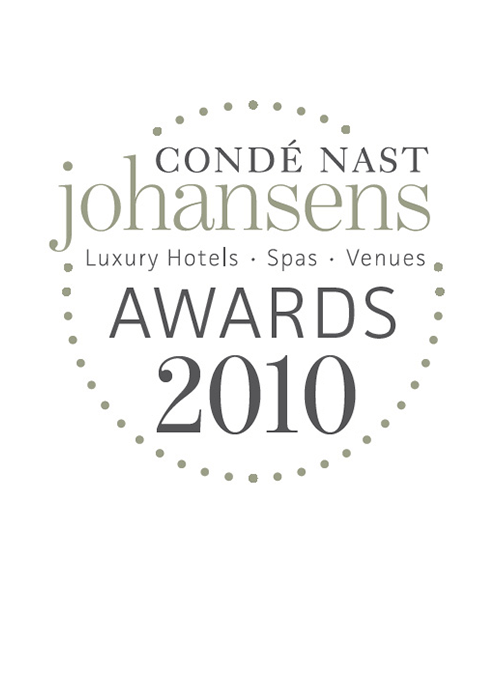 At its launch the spa attracted much media coverage and has won numerous awards. 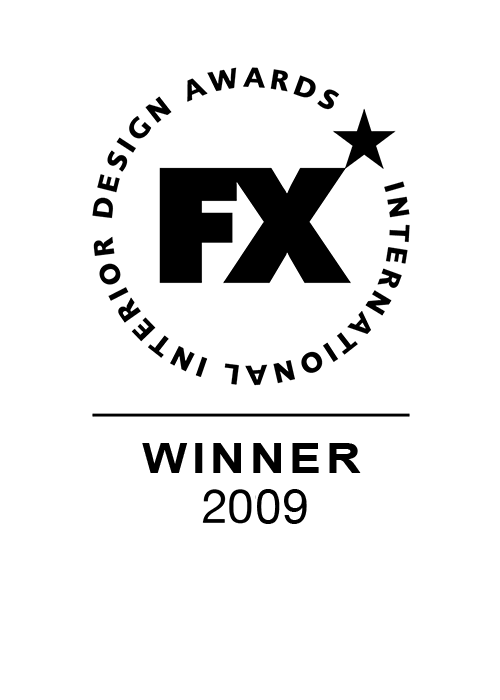 This was a technically challenging project in terms of integration of services into the listed interior, sparctsudio also provided very detailed designs for the bespoke joinery and dramatic lighting. 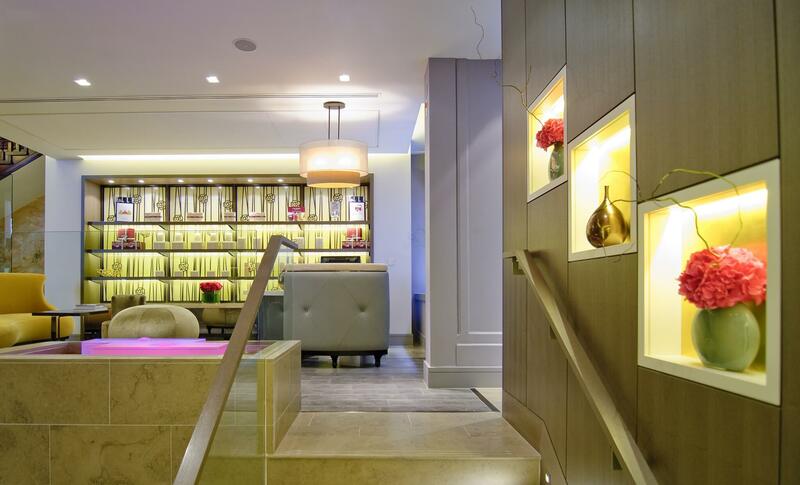 Some of the most creative work in interior design is currently being done in hotel spas, and you would point for support at the sublime ‘So Spa’.. Sparcstudio recently created for the Sofitel in St James’s in London. 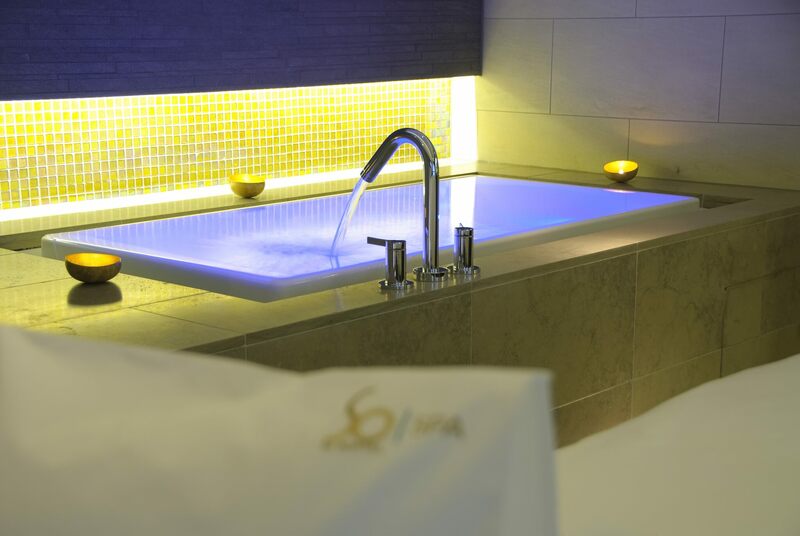 So SPA sumptuous interiors are a notable shift away from the stark minimal design of many recent spas, think Dita Von Teese rather than Snow white and you get a little closer to the heartbeat of the spa. Currently voted as TripAdvisor no. 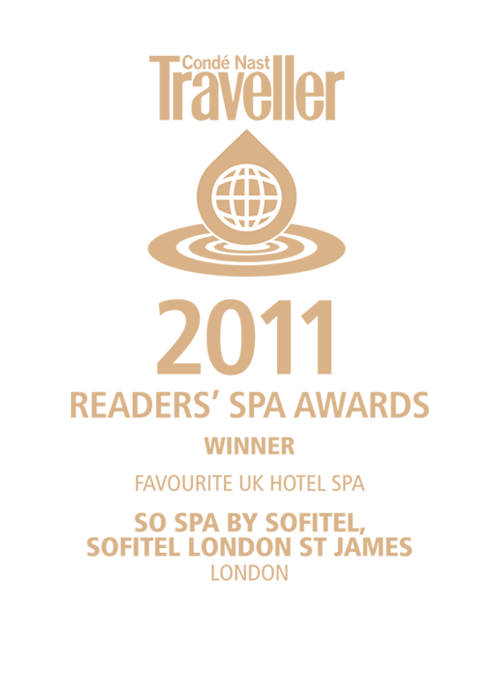 3 in Best Spas in London.